Still Life Drawings These various still life drawings were done by high school students in charcoal or chalk pastel. 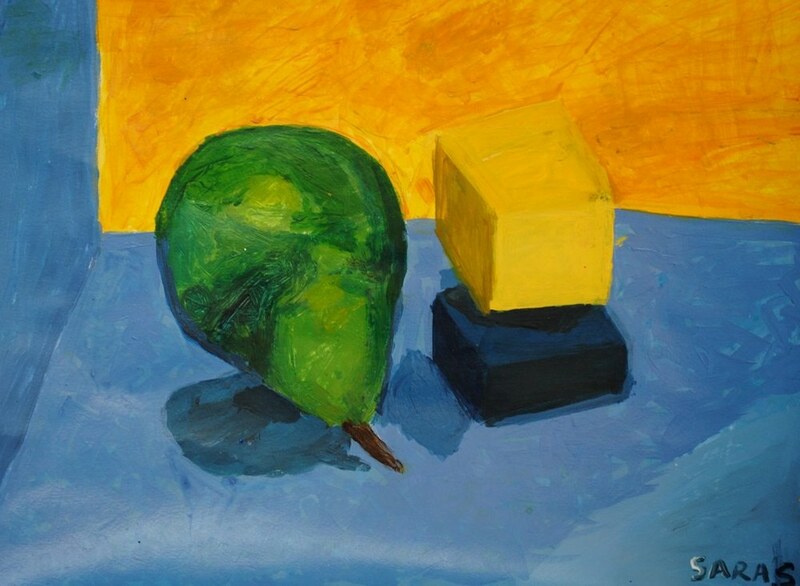 Beginning Still Life Paintings These simple still life arrangements are designed to teach students the fundamentals of color mixing. Oil Pastel Portraits These drawings explore abstraction and inventive color. Landscape Paintings Students explore color mixing and the concept of atmospheric perspective in acrylics. Less is More Drawing Project Students start with an initial image and crop it to explore texture and abstraction. Project idea from Visual Literacy by Judith and Richard Wilde.